They should be installed horizontally, not vertically. They should not be installed behind any bodywork or grills. The receivers and transmitters both need a clear line of sight in all directions. Your heads should be straight and level. They should not be pointed in or out. They should point directly ahead. They should not aim up or down. They should point straight ahead. They should be flush with your grill to a few mm ahead of them. Front center head (regular or Tx) should plug into F2 port of ALP CPU. Left and Right heads can go into F1 and F3, it doesn’t matter which. If using rear Tx head, it should plug into R2 port of ALP CPU. Standard rear head or heads go into R1 port. Messing any of these up can mean the difference between being able to reliably jam lidar guns or not, so it’s important to do this properly. I’d also like to add that not every installer knows these things. 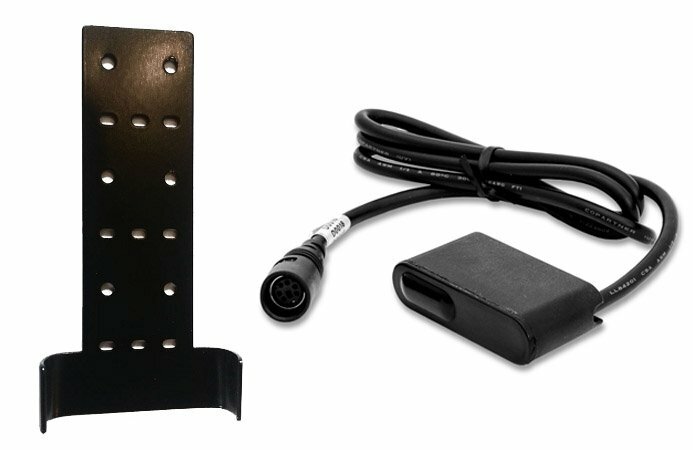 Many can do a fantastic job at wiring everything up and making everything look beautiful, but they may or may not necessarily know how to install jammers for maximum effectiveness, so that’s what we’ll focus on in this part. Can your Heads be installed behind your grill? One of the most common mistakes I see people make is installing their jammer heads behind their grill. If you put a laser jammer behind a grill like this, the grill itself will physically block the receiver from being able to see the incoming lidar beam well from every angle and it will also physically limit the transmitter from being able to send out its jamming pulses. Here’s another example that will help illustrate the point even more clearly. You can see right away what the issue is here. Sure you may get lucky if the angles happen to be just right, but this seriously compromises the install and although it would certainly be preferable to have your heads less visible for aesthetic reasons, you won’t have a properly functioning install and you will be wasting time and money. Here’s a look at properly installed laser jammer heads. Notice how professional this install looks. 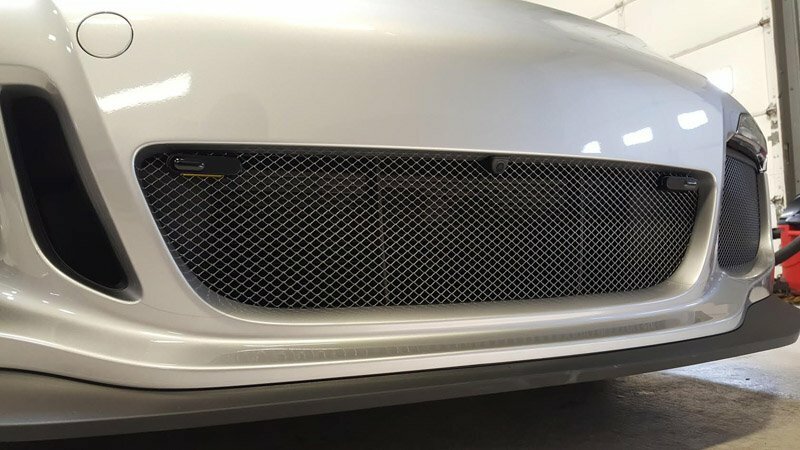 The heads fit nicely in the grill and they look like parking sensors. Should your heads be pointed Straight, Up, or Down? You want your heads straight and level, parallel with the ground, aimed directly ahead. I’ve done some testing with aiming the jammer heads up to see if it helps against overpass shots and while that does work, I got punchthroughs on level terrain. When I aimed my jammers straight again, they worked on both level terrain and from up at an angle. Aiming your jammers directly ahead is important for maximum performance and it’s for that reason that laser jammers come with a bubble level to help you check this. Improper jammer head orientation is one of the biggest causes of punchthroughs in testing so this is one of the first things we look for when a PT happens. Should your heads be aimed Straight, In, or Out? Similar to what we talked about in the previous section, you want your jammer pointed straight ahead, not aimed left or right, both in or both out. Sometimes we call this having your heads toed in or toed out. I’ve often seen heads toed out when people align their heads with the contours of their vehicle. 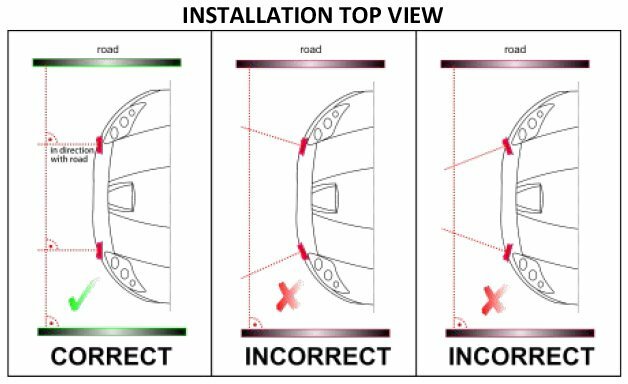 Vehicles often curve back a bit (you’ll see it in the illustration below) and if you try to have your jammer heads parallel with your car so that it looks good, they may wind up pointing off to the side rather than straight ahead. Now you may think that pointing your heads out slightly may help against officers sitting on the shoulder off on the side of the road, but we’ve actually found that jammers work best aimed straight ahead. Doing this gives you the most solid level of protection against targets both ahead of you and off to the side. Jammer heads can be quite sensitive to misalignment and like I said, this is one of the biggest causes of punchthroughs. It’s why jammers typically ship with adjustable brackets. Rather than supergluing them to your car or using 3M doublestick tape which doesn’t allow for slight tweaks once they’re set, using an adjustable bracket for your heads lets you fine tune your head orientation for maximum performance and then keep them solid in place once you have them where you want them. Using a sturdy yet adjustable mounting system is ideal. Make sure the front lens of the jammer sits just in front of the bracket, not in the bracket itself. 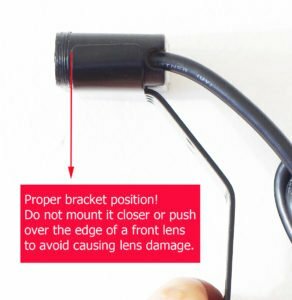 Some people have cracked or damaged the lens by pushing it into the bracket itself with too much force. It’s best to let the lens sit right in front of the edge of the bracket. Note: If you’re installing a third head in the center of your grill and that center head winds up farther forward due to the curvature of your car, that’s okay. They don’t all necessarily have to be on the same plane, front to back. 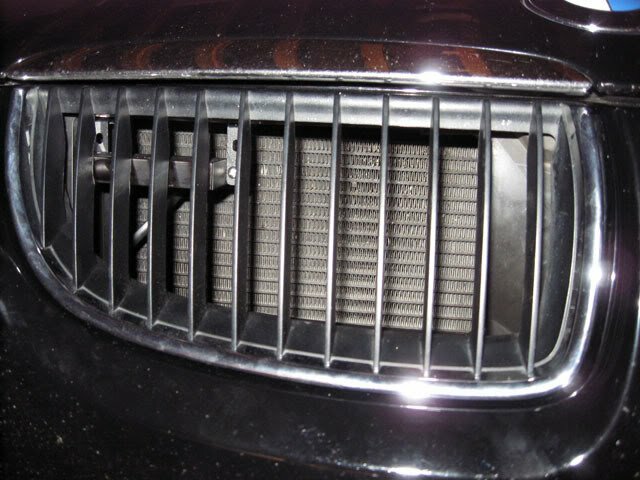 Should your heads be flush with your grill? How far forward or back should you stick your heads? You want your heads to be able to see in all directions and not be blocked by any paneling. You want to make sure that your jammer heads are far enough forward so they aren’t getting reflections from your grill a few mm in front of your jammer head, especially if you have a shiny grill. Reflections could confuse the jammer. A good rule of thumb is that if the lidar gun can’t see the jammer, your jammer can’t jam the lidar gun. So if you have any bodywork that’s physically blocking the view of the jammer in any direction, if there’s any part of the grill that could interfere with the jammer, that’s not a good location for it. Sometimes you’ll need to move your head farther forward so that it’s not being blocked by any body panels. Here’s an example of a great install. 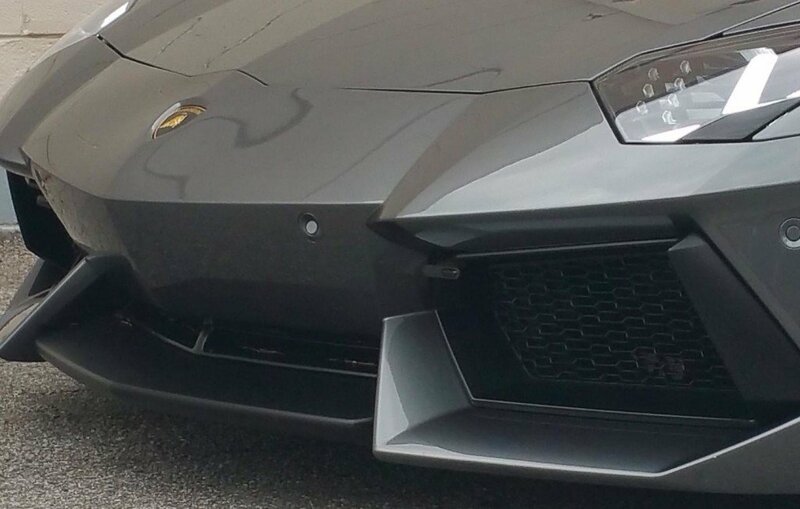 You’ll notice how the head is mounted basically flush yet it still points forward as the grill curves back. Here’s a look at the other head, looking down from the top. Notice how it’s just barely sticking out in front of the grill. Perfect. The ALP heads have bubbles on one side. The laser receivers are behind the bubbles. The transmitters are behind the flat side. Usually the school of thought was to have your bubbles out to get them closer to your headlights since those are your primary targets. If your jammers were super far apart, people would sometimes have their bubbles in to get closer to the center of the vehicle. Now that we know how to install our ALP heads properly, let’s go ahead and look next at how to set up the ALP, update it, and use it properly. Hi, first let me thank you for your time in making this guide. 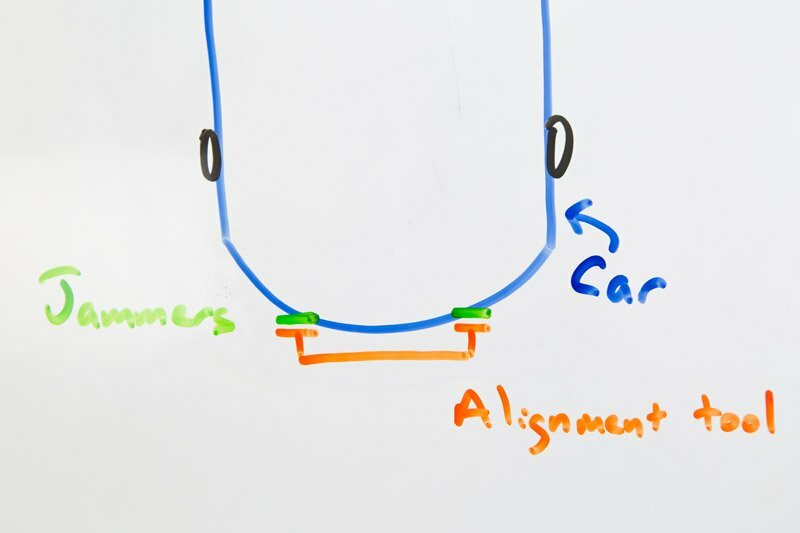 I have a question about the header mounting bracket shown in your guide on Proper Header Installation. Do they come with each ALP heads? 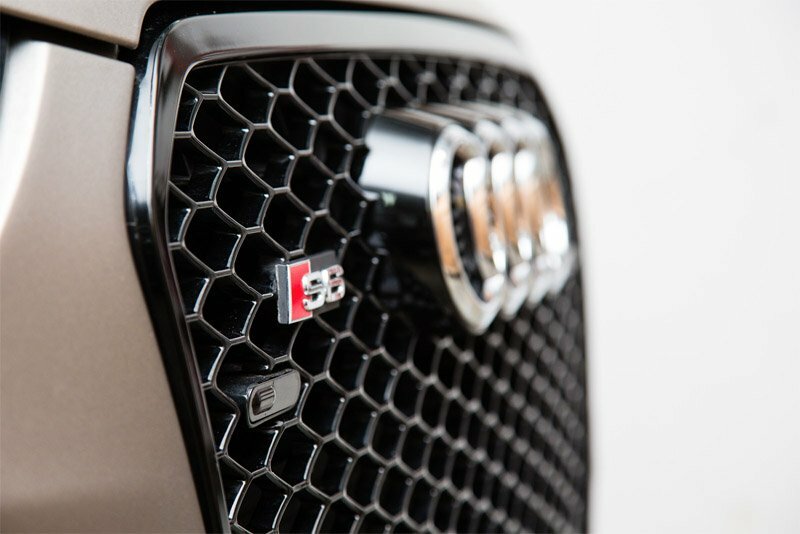 I have an Audi S4 just like the S6 in your guide, same grill and all. I plan to have the same setup and I want my install to look just a clean as that S6. Im Ok with cutting the grill to fit each heads, however those mounting brackets would complete my install. where can I get them? Thank you for you help. Sweet, thank you. 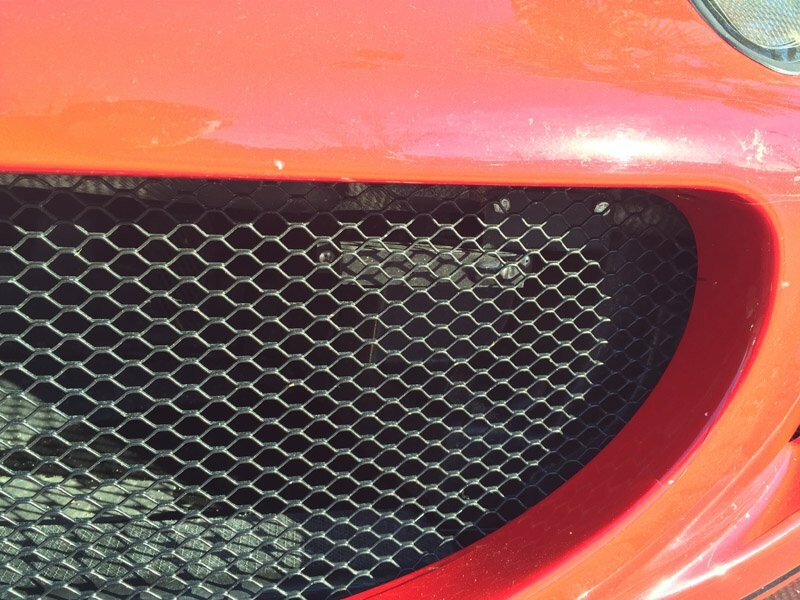 Reading up on how @S6Per did his install seeing that I have the same grill. First, I want to say thank you to Vortex Radar for all of your help with your video’s and website. I am interested in having the AL Priority installed on my new Honda Pilot Touring model, but I’m concerned about the shape of the front end of this SUV. I want to put 3 sensors on the front and 2 on the back, but the front is very arched towards the headlights. The turn signal area is angled severely compared to the front of the Pilot. 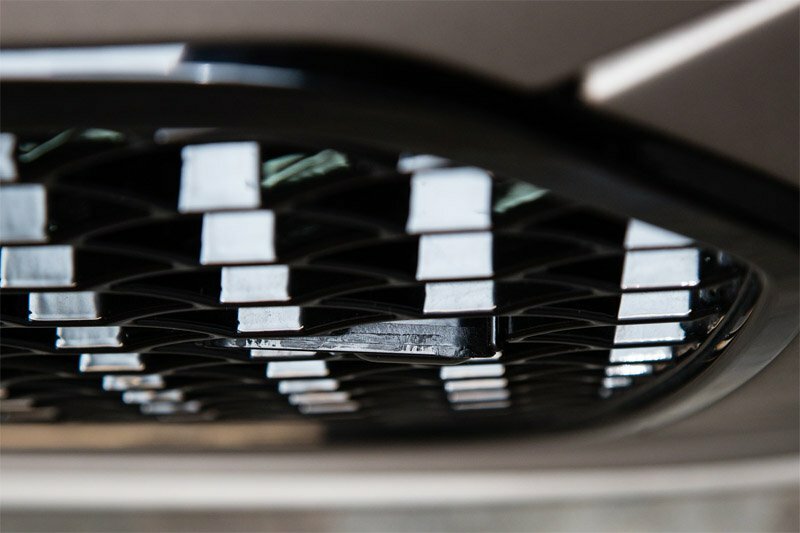 Towards the bottom of the front, by the lisence plate, its flatter, and could easily install two sensors on the right and left side, but is that too low? I guess I’d like an opinion as to where the three sensors should go on the front of the Honda Pilot. I don’t think its as simple as 2 by the headlights and one in the middle. Is it possible that some SUV’s with curved front ends won’t work with laser jammers? I would also like to find a professional installer in the Milwaukee area, but the AL Priority web site doesn’t list any. Any help would be appreciated. Hey Ted, I know we’ve talked on RDF. For the front you’ll want to install them in the grill area. The lower area by the plate looks too low. Curved front ends shouldn’t affect jammers so long as they’re clearly able to see and respond to the laser gun. Hi vortex, I have a 2017 q50. I have Alp’s installed on the bottom grill and a tx above the emblem. I am 24 inches from the headlights. Will I get any pt?